Kuwait MPs have voted to introduce controversial plans to hike expat healthcare fees by 500% and more, bringing in extra restrictions as the heat on expats in the country intensifies. 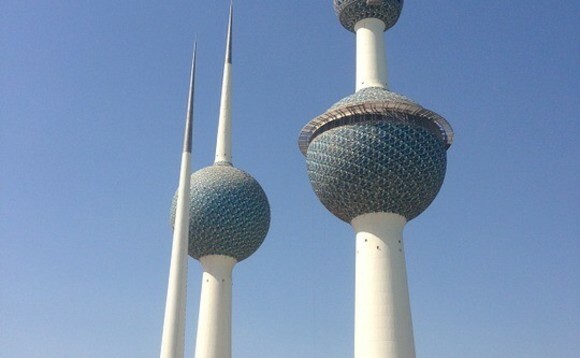 Kuwait’s National Assembly’s legal and legislative committee met this week and officially approved proposals to raise medical charges on expatriates and to amend the conditions of the existing health insurance on foreigners, bringing in additional plans to force expats on visitors visas to take out mandatory healthcare, according to reports in local news outlet The Kuwaiti Times. The move, as previously reported, will see expats, that currently make up more than two thirds of the Kuwaiti population, being charged in excess of five times more than Kuwaiti nationals for healthcare costs in the country. The decision will now go to the assembly’s health and labor committee to work out the details of the proposals in cooperation with the Health Ministry which has already announced plans to increase medical charges on expatriates from the middle of next month. The legal committee’s said that its decision “found the proposals in line with the constitution and the law”. One of the proposals calls to impose mandatory health insurance on expatriates coming to Kuwait on visit visas after it has been claimed that many expatriates, especially the elderly, visit Kuwait only to enjoy the almost free medical services. The move, similar to the mandatory healthcare law being introduced, as reported, in Dubai, will see even higher costs for expats on visit visas being enforced. Even with the 500%+ hikes, resident expats are still better off, MPs have stated, as the national healthcare fees are still “20% cheaper” than private healthcare costs. And in a series of recent changes, many of which are connected to what many MPs see as a growing situation regarding expat numbers in the country, the committee also approved a move for a legal change of its voting system to two votes. If approved, it would mean that a bill can be put forward for debate in parliament and be brought by just two MPs, instead of current five MP limit. Minister of Social Affairs and Labour Hind Al-Sabeeh also said at the meeting that a special committee is studying the requirements of the labour market in Kuwait relating to calls from a number of MPs to reduce the number of expatriates who now constitute 70% of Kuwait’s 4.4m population. Kuwaitis are only 1.33m against 3.1m expats. A number of MPs have already signed a demand to hold a special debate on the demographic structure, with calls, as reported, to deport up to 1 million expats at a rate of at least 100,000 a year, to bring the % ratio of expats to nationals in line to 50/50. The debate is likely to be held next month, the local reports said. On approval by the legal committee approved a draft law that calls to change the controversial voting system while keeping the number of electoral districts. Head of the committee MP Mohammad Al-Dallal said the draft law was submitted by five lawmakers and the committee only cleared the bill from any constitutional hurdles. It will now go to the interior and defence committee for final approval before going to the National Assembly for a vote. The main amendment to the existing law is raising the number of candidates a Kuwaiti voter can pick up in parliamentary election from one currently to two candidates. The voting system has, according to The Kuwaiti Times, remained a highly controversial issue since late 2012 when the government unilaterally changed the system reducing the number of votes a voter can cast from four to one. The decision was rejected by the opposition which boycotted two parliamentary polls before returning in November last year. Opposition MPs have said they will do “whatever it takes” to raise the number of votes, the reports said.